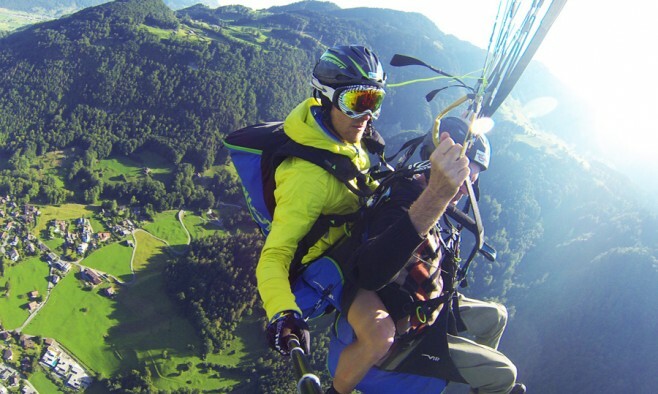 Anyone would need courage to go paragliding nearly 2,000m above the earth. So to do it when you have Parkinson’s – and the accompanying movement difficulties – seems impossible. Try telling that to Michael Kelly. Many might think this extreme sport too much of a challenge for someone suffering from a neurodegenerative condition, but this former engineering manager in the oil and gas industries is pushing the upper limits of what’s possible. At 70 years old, he’s recently taken up the sport, and not without sacrifice. He’s had to exercise regularly to stay in shape in order to be in a fit enough state to take to the skies. 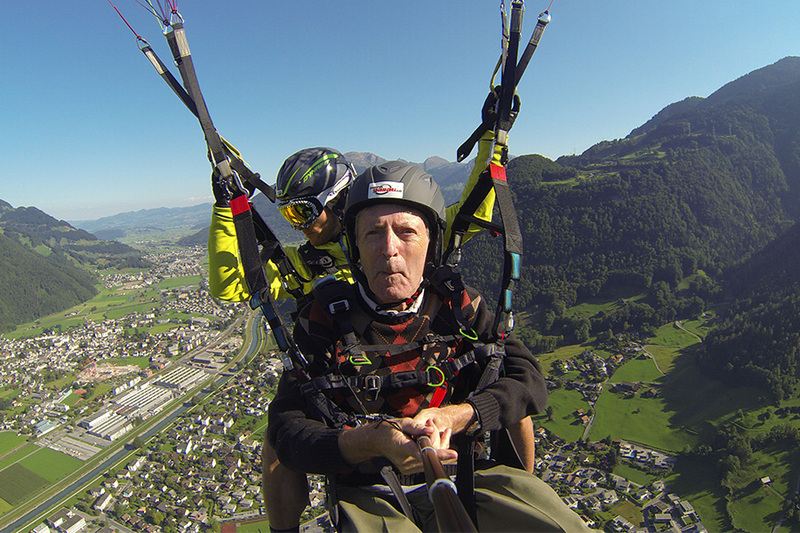 Having lived with Parkinson’s for 21 years, Michael – “just a little crazy” – is clearly determined to continue enjoying the wilder things in life. 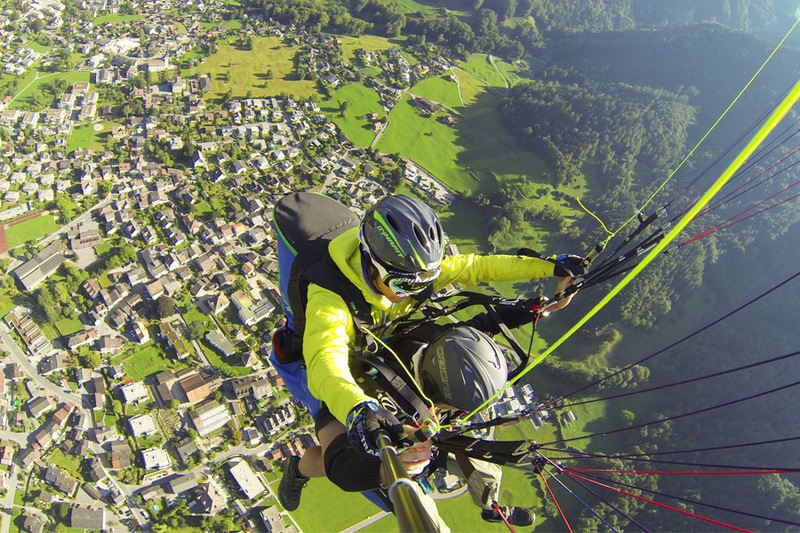 Launching off cliff-tops at heights of 1,900m, he has glided, accompanied by his daughter, in a tandem flight over breath-taking Alpine landscapes in Switzerland, where he lives. Aside from being an enthusiast for the extreme, as a trustee member of the Hilde-Ulrichs-Foundation for Parkinson’s Research, Michael is also an active advocate for research efforts that are aimed at developing therapies to combat the disease. The Foundation directs its efforts specifically towards exploring non-pharmaceutical therapeutic measures, thereby minimising side effects. Indeed with his new hobby he is setting an example – albeit an extreme one – for keeping fit and healthy. His time in the air needs careful preparation, including lots of physical exercise, which helps slow the progression of Parkinson’s. I was an hang gliding pilot from 1980 to 1995, In 2013 I was diagnosed of PD that I’m fighting successfully by non contact boxing. Maybe I’ll go back to fly, also.